The offseason was full of drama of how fantasy baseball sites would clarify position eligibility for Shohei Ohtani. ESPN and Fantrax allow Ohtani to be on one single team, and the team gets to use him as a hitter and pitcher. Yahoo! allowed him to be drafted as a pitcher, and then a second time as a hitter. I must admit that I found Ohtani as a conundrum. We see it in Little League and high school where players play both ways, but rarely do we see it in college, and it rarely exists in Major League Baseball. Yes, we see pitchers pinch hit from time-to-time, but that’s about as far as it goes. This past Spring Training was anything but a success for the Japanese import. In 2.2 innings pitched, Ohtani sported a 27.00 ERA with nine hits, eight earned runs, and a 5:2 K:BB. At the plate, he slashed .125/.222/.125 with 10 strikeouts, three walks, four hits, and a single RBI in 32 at-bats. These numbers were far from exciting, and it made me shy away during my fantasy drafts. Still, the notion of a two-way player brought many concerns to my though process. What if he pulled up lame trying to leg-out an infield hit? How long would this put him on the disabled list? Would this cause him to miss more than one start? These are reasonable questions for any owner that is rostering a two-way player. Early into the 2018 season, he’s been as good as advertised prior to the start of Spring Training. He’s racked up strikeouts, and he’s been solid at the plate. This week, I give you the breakdown of his hot start in “That’s Amore!” Analyzing Shohei Ohtani’s Fast Start. It’s understandable that Oakland is going to be one of the bottom feeders of Major League Baseball, but who would’ve predicted Ohtani to start his offensive season in such an historic way? After doing some extensive research, I took a look at three highly regarded Japanese players through their first Spring Training, as well as their first regular season. With the exception of Hideki Matsui’s 2003 Spring Training stats, I was able to get a list compiled of Ichiro Suzuki, Hideki Matsui, Kosuke Fukudome, and Shohei Ohtani. It’s followed by the full season stats of the players’ regular season statistics. I found it interesting that all players struggled in their first Spring Training. Side Note: I scoured the internet for over an hour to find Matsui’s 2003 Spring Training stats. Most players use the at-bats to work on their mechanics, identifying pitches, and getting solid swings during at-bats. With the exception of Kosuke Fukudome, the Spring Training stats were nothing to write home about. Early on into his first Spring Training, Ohtani struggled at the plate. He looked overpowered by Major League pitching. His strikeout rate was around 30%, and it was looking like he may needed time in the minor leagues to start the season. Fast-forward through the first two weeks of the regular season and he’s looking like a steal for fantasy owners that took the risk of drafting him. What’s to attribute to his early season success at the plate (slashing .367/.424/1.191)? It’s cliché, but we hear often that a player should take what the pitcher gives them. This has been the case for Ohtani. When we see players with high averages, we usually see a player that will hit the ball where it’s pitched, and most players with high averages have a knack for hitting the ball up the middle. This has definitely been the case for Ohtani as he owns a Cent% of 52.2% compared to a 30.4 Pull% and 17.4 Oppo%. I understand he’s only accumulated 30 at-bats through eight games, but he’s looked great in his at-bats. I’ve heard numerous people state most of the at-bats have come against lackluster teams such as Oakland, Texas, and Kansas City, but he went a combined five for nine against Cleveland. Still, if you’re on the fence about Ohtani’s offensive production, this week’s series (Tuesday-Thursday) against Boston should give us a better gauge on production assuming he gets at-bats Rick Porcello and Eduardo Rodriguez. Tuesday’s start is against David Price, but he won’t be in the batting lineup. Looking further into Ohtani’s early season hitting approach, his contact percentages have been impressive. Early on, Ohtani’s contact percentages are as follows: 0.0 Soft%, 56.5 Med%, and 43.5 Hard%. He hasn’t been cheated on his contact, and it’s shown through the first two weeks. If we look even deeper, his Z-Contact% is at a blistering 96.9% with an overall contact percentage of 82.0%. Even at pitches outside the hitting zone, Ohtani has still managed a respectable 65.5%. Not to mention, he’s hitting .333 with RISP. Moving forward, I’m interested in seeing how Ohtani attacks pitches up around his hands, and facing players with better-than-average off-speed pitches. Early on, he’s hammered fourseam fastballs as well as cutters hitting .353 and 1.000 against each pitch type. Two of his three home runs have come off of a sinker and a curveball. I would’ve loved to have seen him face Chris Sale, as I feel he’s the type of pitcher that would’ve made Ohtani make adjustments on fastballs around his hands, but we will have to wait until late-June if Ohtani will get to face off against the power-lefty. What can we expect moving forward? Ohtani has proven to be able to hitting fastballs in the zone, and he’s handled offspeed pitches with ease. I don’t think it’s out of the realm of possibility for the slugger to hit .300. Still, it’s a long season, and he’s be facing better pitchers than the ones he’s seen through the first two weeks of the season. If I had to guess, I’d say it’s safe to predict a .300 batting average with 20+ home runs. On the mound, Ohtani has been equally impressive. Earlier, I mentioned his Spring Training issues at the plate, and the issues were also evident on the mound. For the sake of discussion, the above chart shows the first-year Spring Training statistics for Daisuke Matsuzaka, Yu Darvish, and Masahiro Tanaka in relation to Ohtani’s. It’s followed by the first full-season stats of each player. Looking at Spring Training, Ohtani was the anomaly. Each player had successful Spring Trainings with Ohtani being the only player to show real struggle. Command was the main issue for Ohtani, and even when his pitches were in the zone, hitters were jumping on him early in the count. Looking into the regular season, Ohtani has been sharp, and compared to his fellow Japanese players, Matsuzaka was the only player that had average statistics, although he tallied a high amount of strikeouts. What’s to attribute to his early season success on the mound? I attribute much of his early-season success to his 97.2 MPH fastball that he’s thrown 44.3% of the time. Most of the at-bats against Ohtani have gone to 0-2 starts. Getting ahead of the hitter has been the lifeline of his two starts. Early on, hitters have hit a combined .093 against the righty, and he’s been equally as good against righties as he has against lefties. Righties have slashed .115/.115/.231 while lefties have slashed .059/.158/.059. He’s absolutely owned right-handed batters accumulating 11 strikeouts through 26 right-handed batters faced. Looking into the numbers deeper, opposing hitters have managed a 52.8 Contact% while racking up a staggering 23.5 SwStrk%. Even when taking a hack at an Ohtani pitch, hitters are missing nearly a quarter of the time. Even when contact is made, hitters’ contact percentages are 32.0 Soft%, 48.0 Med%, and 20.0 Hard%. Simply put, it’s been difficult to make solid contact when facing Ohtani. Getting ahead in the count has been Ohtani’s calling card. Only one hitter has gone 3-0 against him and that at-bat ended in a walk. When facing a 3-2 count, Ohtani has ended the at-bats with three strikeouts, zero walks, and no hitter has yet to get a hit when facing a full count. Thus far, we’ve seen Ohtani pitch on Sundays. With that being his typical start day, we are looking at around 20 more starts after Tuesday’s meeting versus the Red Sox. Darvish and Matsuzaka were the only two charted pitchers to pitch 200 over 140 innings. I’d suggest 130-140 is the ideal amount of innings for Ohtani. That being said, if he does indeed get 20 more starts after Tuesday, that would put him right around the 130-140 target. Even then, with his 12.46 K/9, we’d easily be looking at around 170+ strikeouts in his first season. That’s astounding rate he doesn’t amass more than 140 innings pitched. With the early season surge, I wonder how many fantasy owners are kicking themselves for not jumping on Ohtani during drafts. Personally, I could use the early season success has the 10-day DL, and postponed games, have hampered my teams early on. One fantasy expert suggested the Spring Training struggles were nothing to worry about as Ichiro himself struggled and went on to win Rookie of the Year and MVP. Through the first two weeks, is it too soon to suggest we could see Ohtani win Rookie of the Year, MVP, and Cy Young in his respected league? 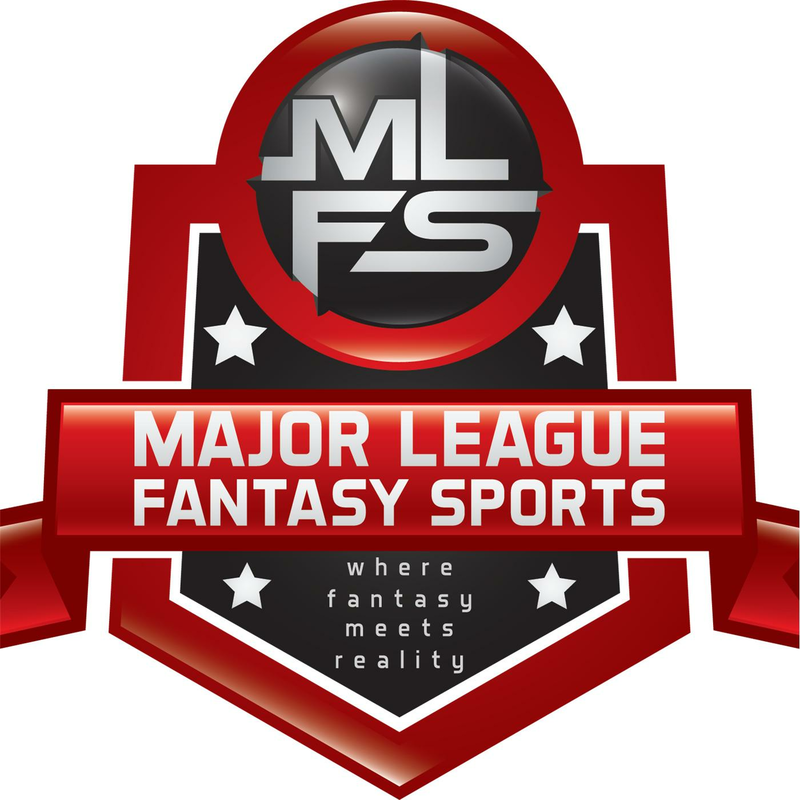 Major League Fantasy Baseball Radio Show: Join Corey D Roberts, and Kyle Amore live on Thursday April 19th, 2018 from 8-9:30pm EST for episode #116 of Major League Fantasy Baseball Radio. We are a live broadcast that will take callers at 323-870-4395. Press 1 to speak with the host. We will the latest information in the world of fantasy baseball. Our guests this week are Tim McLeod of prospect361.com and Cole Freel. Cole is one of the newest writers with the majorleaguefantasysports.com and one of the more popular. Cole’s articles publish every Saturday at 1pm EST and his focus is Buys/Sells from the hitters side of the ball. Tim is one of the most respected minor league scouts in fantasy baseball. Be sure to check out his website linked above.